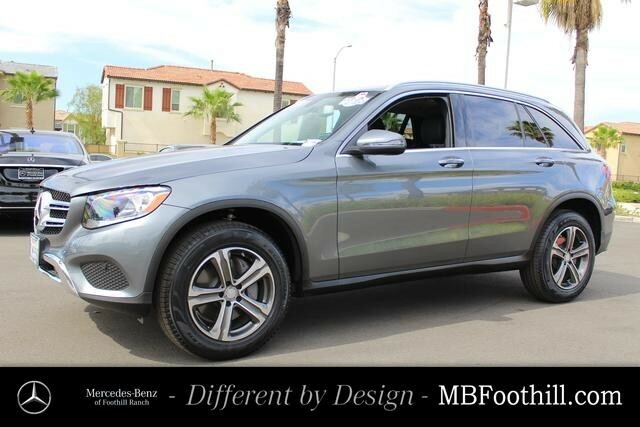 Mercedes-Benz of Foothill Ranch is offering you this Certified One Owner at a competitive price and welcomes you into our world-class dealership to test drive the vehicle of your dreams and experience the very best in selection and service. Original MSRP priced at $44,225. Engineered with visionary design and fashionable function, our 2016 Mercedes-Benz GLC 300 SUV draws admiring looks in Black! Powered by a Direct Injected TurboCharged 4 Cylinder that produces 241hp connected to a paddle-shifted 9 Speed Automatic transmission. You can tailor this Rear Wheel Drive with Dynamic Select while Agility Control was designed specifically to balance performance with refinement and reward you with near 28mpg on the open road. The crisp proportions of our GLC 300 get noticed and they are beautifully enhanced by chrome accents, anodized roof rails, and bright LED running lamps and tail lamps.